When it comes to keeping and raising backyard chickens most people tend to seriously over-complicate things … and that often means wasting money on unnecessary equipment. There is no need to buy ‘grit’ … If they need it, they’ll find it in the dirt. 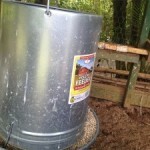 There is no need to buy poultry feeders …They can eat out of bowls just fine. 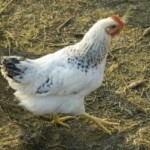 When it comes to food, don’t rely solely on commercial chicken feed. You don’t need to and it’s probably the least healthy type of food you can give them. 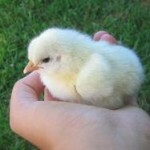 And remember, a healthy chicken means healthy chicken meat/eggs. Instead, let them forage for insects and worms as often as you can and give them leftover vegetables, fruits and cooked beans whenever available. You’ll also want to give them some protein-rich sources of food once in a while, such as leftover meat (in moderation), plain yogurt, pumpkin seeds and it might even be worth investing in some meal worms. Meal worms are probably the biggest treat you can give your chickens and the added protein makes an huge difference in laying quantity, especially in the winter. 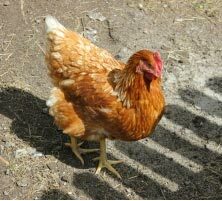 To keep laying hens in good shape they will need additional calcium. The simplest way to do this is to actually feed them back their own egg shells, but that can lead them to seeing eggs as food. Not something you want to encourage! So you must crush the shells up so that they are not really recognizable as egg shells and mix them in with the rest of their food. As you can see, chickens can eat pretty much everything, but do your research before you start feeding them something you’re unsure of and only invest in commercial chicken feed when there isn’t enough of the food discussed above. Now that we’ve gone through a few tips for what to feed your chicken while saving money, let’s move on to the second point on the list … shelter. This is where you can save literally TONS of money on your initial investment. 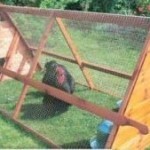 Instead, build your own DIY chicken coop! 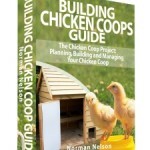 If you’re willing to invest a little bit of time you can save hundreds of dollars by building your own chicken coop … your chickens definitely won’t notice the difference!